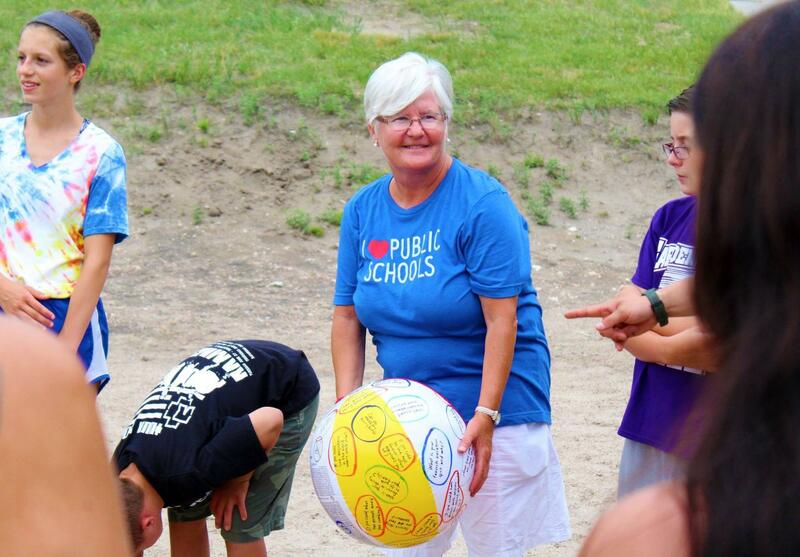 Lakeshore Learning: UNL, Ogallala-area students connect art and science on Big Mac | Nebraska Public School Advantage - The power of public education. If you find yourself journeying northward on Highway 61 through Nebraska’s Sandhills, it’s impossible miss Lake McConaughy. The state’s largest body of water almost looks out of place. Beautifully out of place. A 21-mile long recreational oasis for boaters, fishers, windsurfers and everyone in between. You might, however, zip right past neighboring Lake Ogallala, a much smaller reservoir on the west side of historic Kinglsey Dam that serves as home to Cedar Point Biological Station, a field research facility owned by the University of Nebraska at Lincoln. The answer is nowhere. Only in Ogallala, where area public school students, under the direction of UNL undergraduate instructors, spent four days last week at “Art Adventure with Science Focus!”. 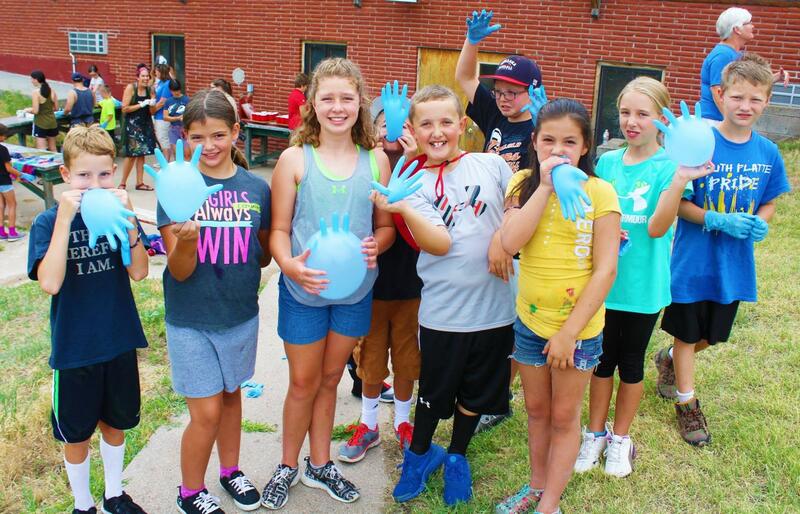 The camp is one of many learning opportunities held at the facility, a classic summer camp complete with vintage log cabins used for student housing, dining and discovering nestled in the western high plains of the North Platte River valley. What better place to do that? For a decade, Armstrong has been coordinating summer learning opportunities for area students with UNL. Ogallala’s school librarian and a former fourth-grade teacher, she is responsible for finding the kids. That’s her favorite part of the process. Like Nebraska’s public schools, the camp doesn’t shut its doors to anyone. Ogallala students do get the first crack at registration about two weeks before it becomes available to area schools. All students are welcome, even those that might be vacationing at Big Mac with their grandparents. High ability learners are able to sign up a week in advance, but the camps encourage participation from learners of all levels. This year, “Art Adventure with Science Focus!” consisted of two groups of campers. The kids braved some sweltering summer heat for the chance to get a jumpstart on the 2017-18 school year and a chance to see friends they might not have the opportunity to spend time with otherwise due to the sometimes-substantial distance students in Western Nebraska live from one another. Elliot Pickering is the same age as Caden, but goes to South Platte Elementary in Big Springs. Excited to be amongst friends, and excited by everything else the camp offers, Pickering said tie-dying shirts is his favorite activity, and then echoed his friend. Armstrong, proudly sporting her “I Love Public Schools” t-shirt, followed her group of younger campers, which show up at 8:30 in the morning and stay for three hours, through the Tuesday morning activities. After an hour of transporting (made possible by Ogallala Public Schools) the 4th, 5th and 6th-graders, camp instructors welcome in the older group, made up of 7th, 8th and 9th-graders. At the end of each camp, she gages interest in doing it again the next summer. The answer is commonly a unanimous “Yes!”. From there, the planning starts. Garbisch, a geologist that will help campers identify different types of rocks, sets the dates in stone, preferably one where the always-active facility isn’t being used for a heavy-duty graduate class. “Last year, we paired with the parasite class, so the kids were pretty interested in that,” Armstrong added. It’s a chore, to be sure, but one Armstrong takes on happily. It’s part of leading students in the state of Nebraska. And providing kids the chance to bask in the sun, to learn on the shores of an unbelievable resource, and to explore an environment like Cedar Point, makes it worthwhile and more. Where Amanda Breitbach is from is not all that different from Ogallala. She went to high school with about 100 other students in eastern Montana, and is able to relate with the landscape and the campers. It’s one of the reasons she fell in love with Cedar Point, and the collaborative learning and exploring that takes place on its grounds. After receiver a graduate degree from UNL, Breitbach teamed with Lincoln artist and UNL Cather Professor of Art Karen Kunc to write a grant to the Rural Futures Institute last spring, about the same time she completed her graduate degree. The grant was approved. What started as a 100-Level college course is now a 300-Level class. Just like Armstrong, Breitbach plays the role of recruiter, only she works to attract art students from UNL’s campus. Kunc, an artist who owns Constellation Studios on O Street in Lincoln, sponsored scholarships to pay for room and board for some of the college students. Cedar Point also has a residence artists program that will draw 10 people to the site this year. Growing up, Breitbach would have jumped at the chance to sign up for something like “Art Adventure”. In small schools, art resources may be limited. Any chance to expand artistic horizons is worth capitalizing on. The kids, Breitbach said, make the camps fun, but there is some trial and error involved. Breitbach has invested her summers in Cedar Point and the campers, college and elementary/middle school students alike, that make the place special. To see post-secondary students from Lincoln learn alongside public school students from the Panhandle is a unique caveat for Armstrong and Breitbach. Students look up to their instructors, who treat them as peers, as another artist. “It’s great for them to be around college students,” said UNL senior fine arts student Hannah Demma, a second-year instructor. “They have a lot of questions. They are really curious about college in general. I know it’s down the line for them, but seeing different environments that they can learn in is really interesting to them. Being around people studying what they’re interested in has a positive impact on them. Demma is a graduate of Lincoln High, and, like Breitbach, says she would have been thrilled at an opportunity like “Art Adventure” growing up. Providing more mediums to make art, and lending exposure to experiences not available within the confines of a classroom, has a significant impact on her. And while the instructors often become role models for the younger campers, the teachers can, on occasion, become students. Their campers are often quite insightful. With aspirations of becoming a college professor one day, UNL junior Austin Coudriet is a Lincoln Southeast graduate hoping to get a leg up on teaching. A first-year instructor, he didn’t know what exactly to expect, but camper engagement has been a pleasant surprise. He’d never mixed art and science much before, so he’s sharing those newfound connections with his campers, all the while encouraging them to pursue their interests. At “Art Adventure with Science Focus!”, there are learners of all abilities, but they share a mutual admiration for the UNL students, who Armstrong credits for their kindness and leadership. When camp adjourned, Armstrong posed the same question she does every year. Come spring, Ogallala parents will start inquiring about dates for the next camp. At Cedar Point Biological Station, where college students and elementary kids gather on the state’s most beautiful of landscapes, discovery through collaboration never stops. "We should also give a big shout out to Cedar Point. It was the director of Cedar Point (Garbisch) who reached out to the art department looking for ways he could use the facility better. That sustains the place. The more people out here using it, the more valuable it is."